This week we took a little walk up to Catfish Pond in Donner Pass. Unfortunately, we found a pretty shameful sight on the way to this little pond. Apparently, a group of visitors left their calling cards all over the beautiful granite slabs in the area. 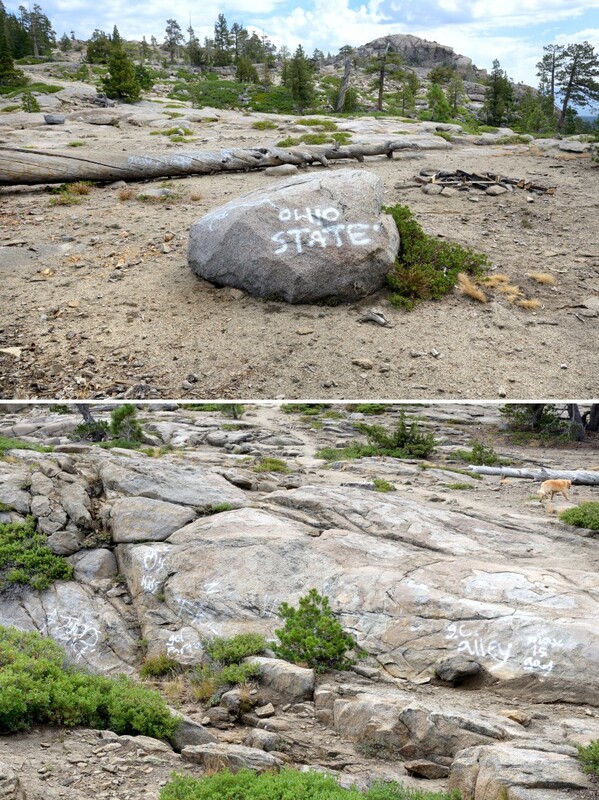 Contrary to their probable intent, this defacement does not speak well for the state of Ohio.